Totally remodeled and regularly updated. ,. 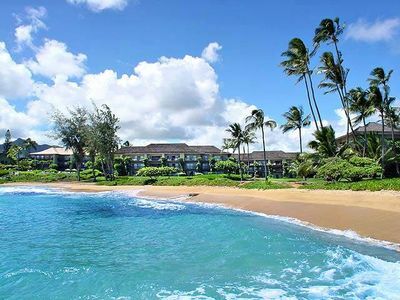 This is Luxury Beachfront Poipu Sands, Adjacent to the Grand Hyatt Resort & renowned Anara Spa. 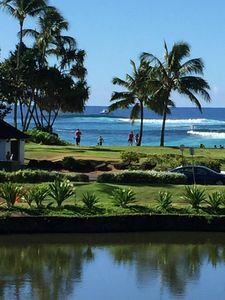 Also Poipu Bay Golf Course, home of the PGA Grand Slam from 1994-2006 is opposite & Next door to the Grand Hyatt. 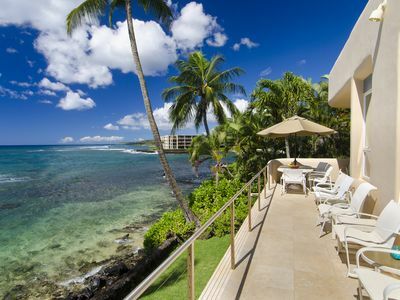 Poipu Sands 522 (Five Building) is 35-50 yds from Shipwreck Beach at Keoneloa Bay at sea level. . 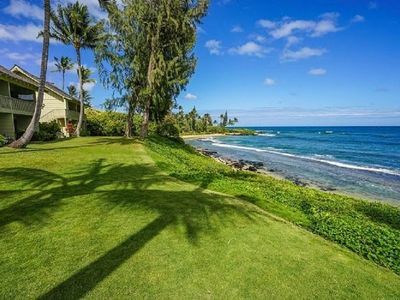 It is also a 15 minute walk along Poipu Kai green belt to Poipu Beach Park (Often rated no. 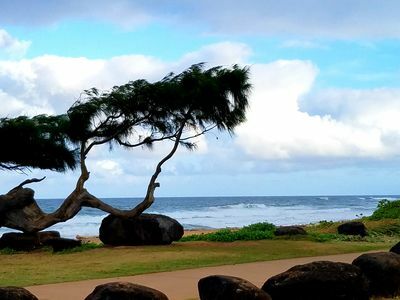 1 beach in U.S.) In addition, Mahalulepu Beach, a Local, Walking, Hiking , Reading/Sleeping under a Shade Tree Wilderness Beach is a Lovely 2 mile hike East from the Grand Hyatt along shoreline and the 15th hole of Poipu Bay Golf Course. 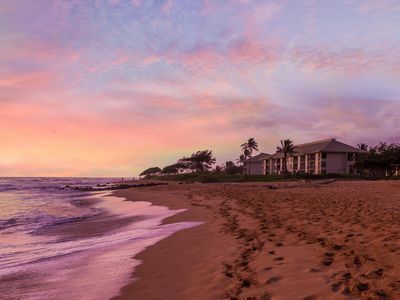 You are likely to see a monk seal sleeping on Shiprwreck Beach. 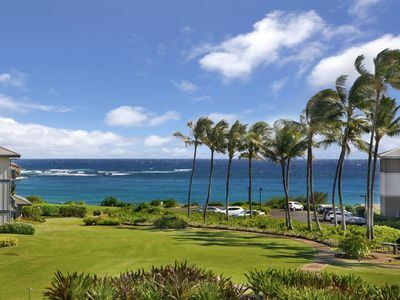 If you walk along the shoreline from Shipwrecks Beach to the South you will see Giant Green Sea Turtles feeding below the cliffs behind the Point at Poipu, the adjacent property. By walking a little farther along the cliffs you will be at the Southern Tip of the Island and that is a great place to Watch the Whales go by ( December to April) and later in the evening- many gorgeous sunsets. 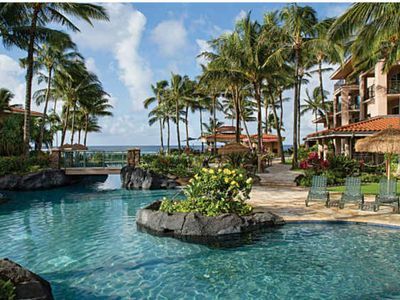 The Anara Spa is only a two minute walk from Beachfront 522. Walk by two more minutes to the Main Lobby of the Grand Hyatt for Fine Dining, Great Shops, Local Craft Vendors and Delightful Evening Entertainment. .. This Luxury 1600 sq ft. is a 2nd floor condo in this 3 level Five Building It includes 11 condos .. 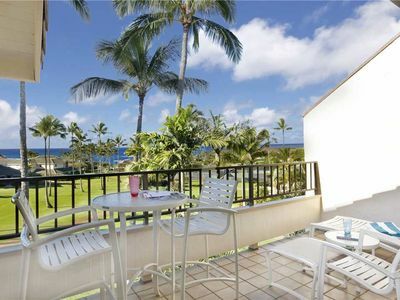 It is the 2nd Condo in from the Ocean end Beachfront. . Poipu Sands has a Large Newly renovated ( 1/1/2018) Heated pool with a lap lane , 25 new chairs (2019)for 73 condos, and enclosed grill area, a shower and a nearby a restroom. 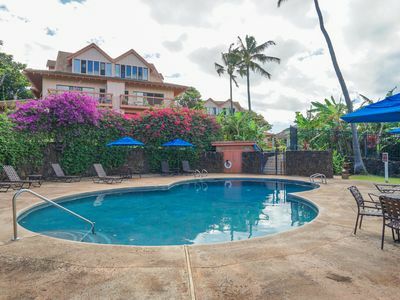 We also have a Single Tennis Court on site plus the use of the 8 court tennis complex & second pool with a hot tub along our 4 Star Poipu Kai Resort 's greenbelt! . 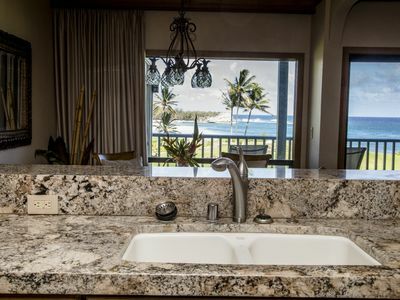 Unique features include Redesigned Master Bedroom with a King sized Bed and large Double Shower, Enlarged kitchen with new cabinets ,Granite counters & Window Sills, New exterior and interior Doors & Windows , walls, plumbing, electrical, all upscale Furniture , plus all New Appliances in 2018 (including a full sized washer and dryer. 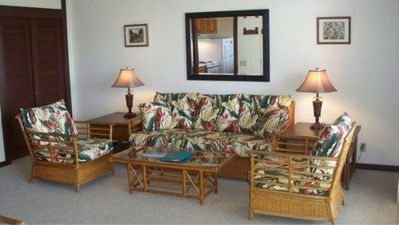 There are 3 flat screen smart TVS, dvd, and Dependable WI FI. Use of Anara Spa (a one minute walk from the door) is free for the day with Massage or facial. It is $30 a day for 5 or 10 days. 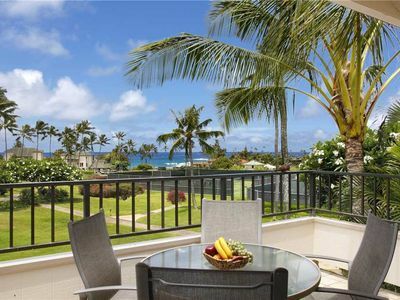 There are a Dozen Shops and Restaurants to enjoy within WALKING distance ( one MIle) . 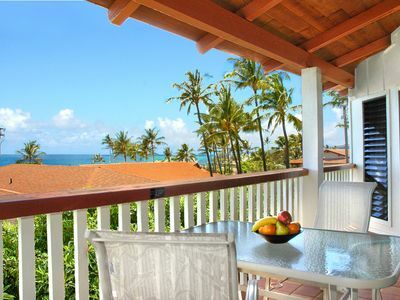 After fun in the Sun and perhaps nightly Entertainment next door, you will truly enjoy Coming home to this Pristine Kondo for a Relaxing Evening or Romantic dinner on the lanai. A Auto gas Grill area is a one minute stroll from your door and also in pool enclosure ( plastic only for that area) See Photos and rates below and our updated Calendar. 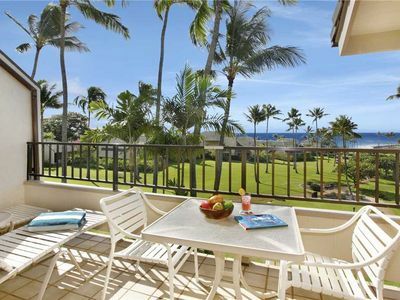 Keywords: Totally remodeled- Luxury Condominium, 50 yds from water in the cul de sac of Poipu Sands. 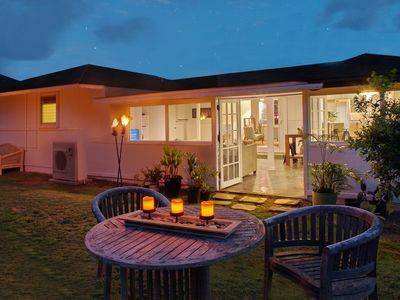 Large heated pool w/lap lane, grill areas, green belt, tennis court. 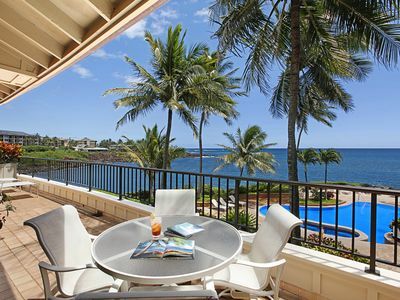 Nihi Kai 524 Ocean View - AC Throughout and walk to Poipu Beach! 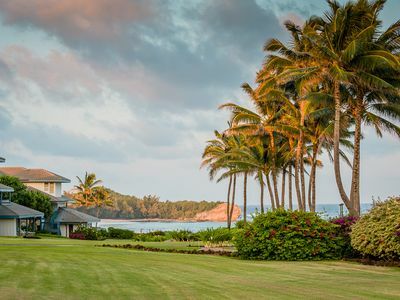 The Lime House - Sleeps 8, steps to the beach! 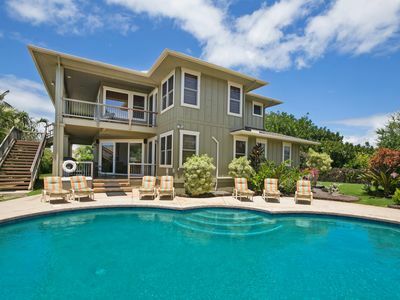 Hale Ma'ana Hou - Best Value 5BR Oceanfront Home in Poipu with Pool and A/C! 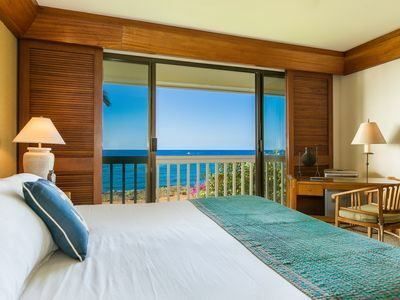 comfortable room biking distance to world class beaches and dining.